Demi cups, teddy bears, feather boas? Not at this tea party! There’s nothing more fun than taking a favorite theme and giving it a fun twist. And at Josie’s home, there’s always room for something different. No stranger to beautiful celebrations, Josie is a professional wedding and special events planner, running a successful company. On her days off, she enjoys spending time with her two wonderful daughters and fabulous husband. When the time came to plan a birthday party for her two daughters, who incidentally have their birthdays one week apart, the creative juices were flowing. 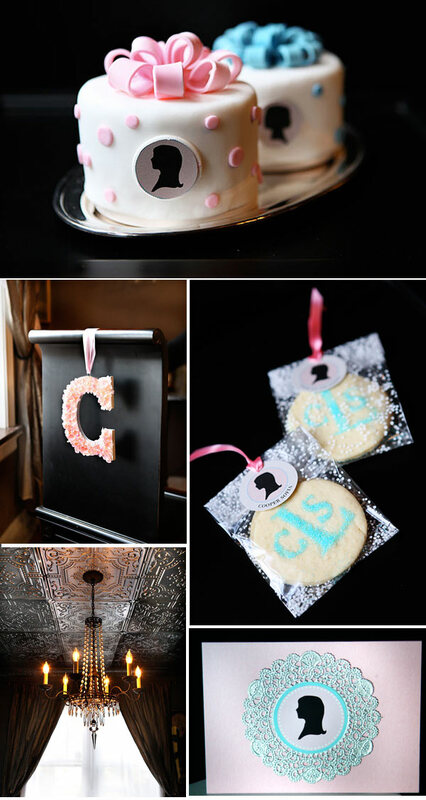 The party theme developed into an adorable girls’ tea with monograms and silhouettes, inspired by Josie’s newly finished tin ceiling and stunning crystal chandelier. Beautiful scalloped china for this small at-home party was rented, and didn’t even have to be washed up afterwards. Silhouettes were used on the invitations (designed by Serendipity) , favors, cakes, and gift bags. 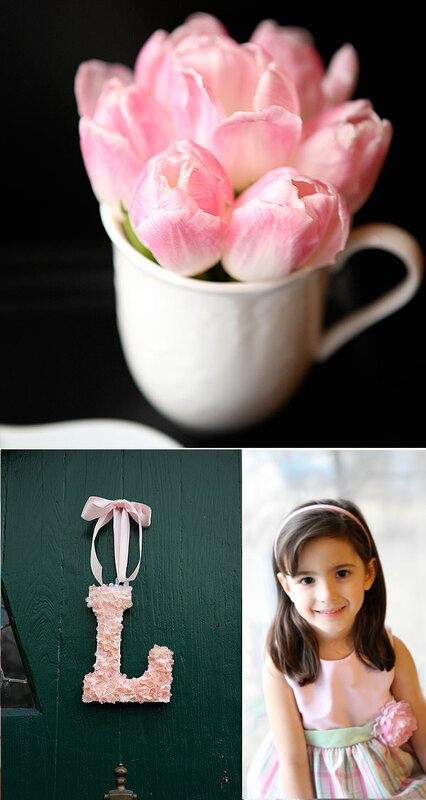 The invitations were designed on a white doily accented with a pink bow. 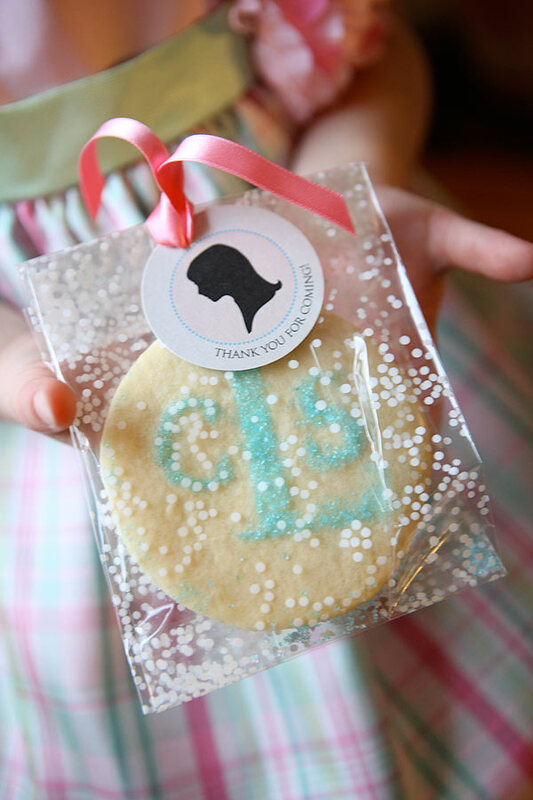 For variety’s sake, monograms were used on unexpected party accoutrements, such as cookie favors (designed by Slice of Lime Designs) and table chairs. The girls were turning five and three, so favors and gift bags had to be interesting yet age- appropriate. 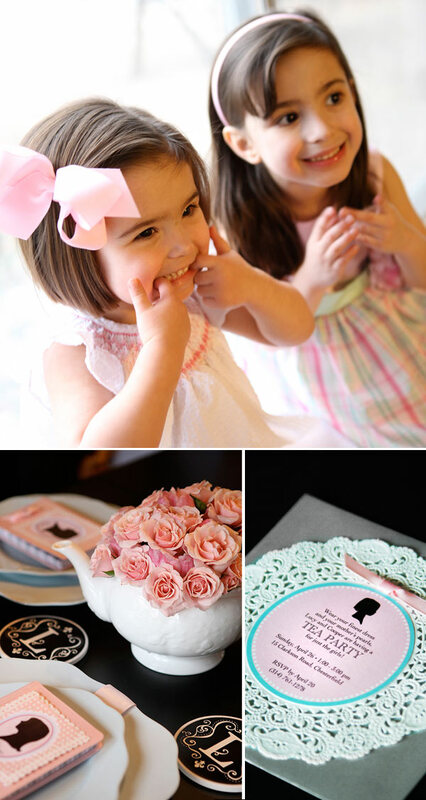 For the older girls, each placesetting had a pink “doodle diary” for guests to take home. The younger girls were given favor bags filled with chocolates and paired up with a large marshmallow lollipop. Each birthday girl had a miniature birthday cake with her own silhouette pressed into the side. 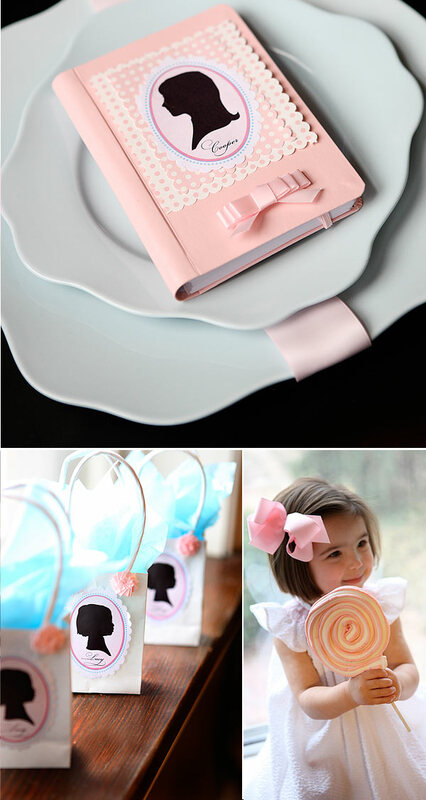 The cakes, adorned with polka-dots and topped off with fondant ribbon, were designed to look like birthday presents. The initial letter of each guest’s name, made of wood cut-out and covered with pink silk rose petals, was draped over the back of her assigned chair as well as hanging on the front door. Just for fun, an etiquette expert was called to come and teach the girls proper tea etiquette and table manners. Afterwards, the girls put aside their lessons and did what they do best… play pretend, giggle, and have a great time!